61-year-old director Mani Ratnam is still one of the fastest working directors in the country. 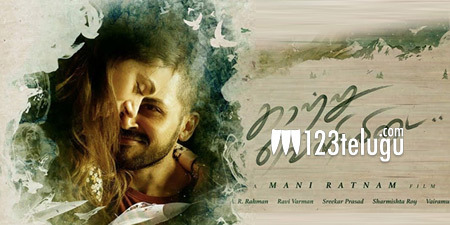 The legendary director is currently filming an intense romantic drama titled Kaatru Veliyidai, and the pace at which Mani is completing the shooting is leaving his team stunned. Already, Mani has wrapped up a crucial schedule in Ooty. The second schedule will kick-start in Chennai tomorrow and the team will then head to Kashmir to can several crucial scenes. A major portion of the film’s talkie part will be wrapped up by August end. At this pace, Mani may well complete the entire shooting process by September and release the film during Dasara season. The film has Karthi and Aditi Rao Hydari playing the main leads and AR Rahman scoring the tunes.